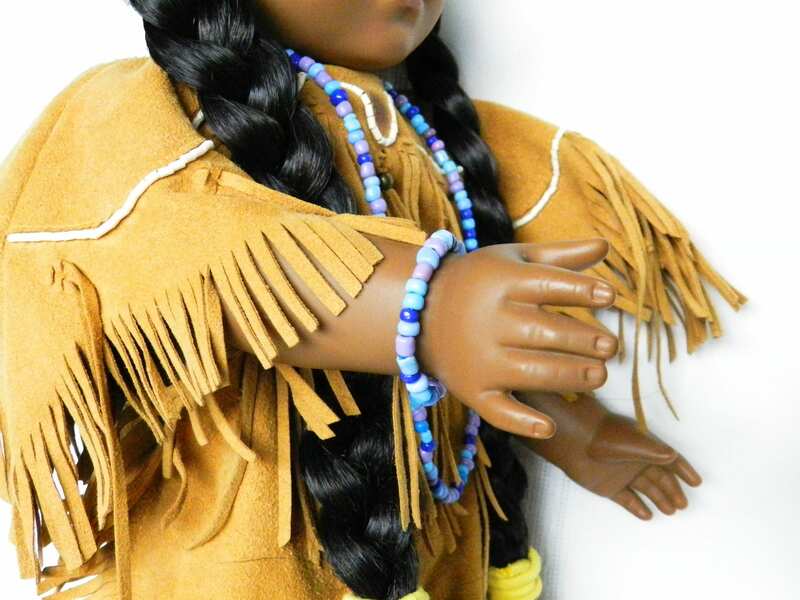 Native American, Indian Doll Jewelry, 18 inch Doll Necklace and Bracelet, American Doll, Mixed Color Beads, Kaya, Doll Accessories, Long Necklace. 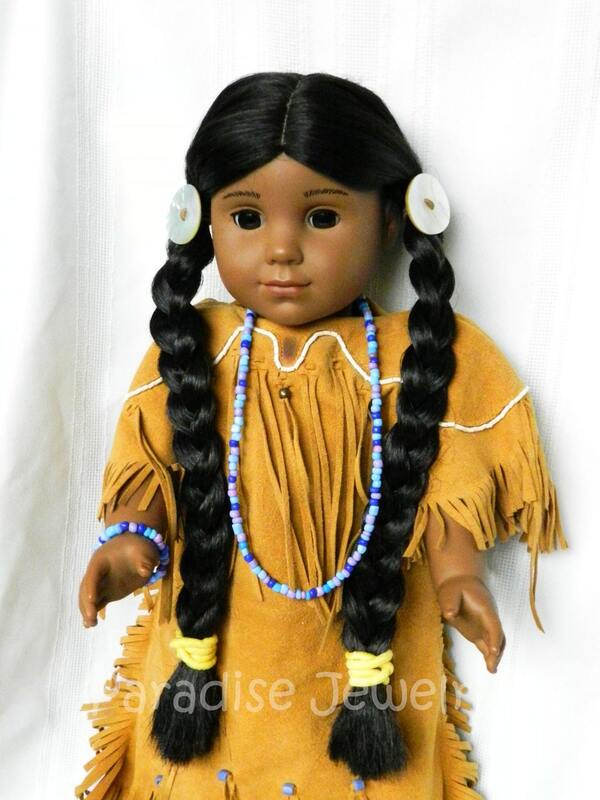 Perfect for 18" dolls like American Girl Doll, Madame Alexander, My Life and more! 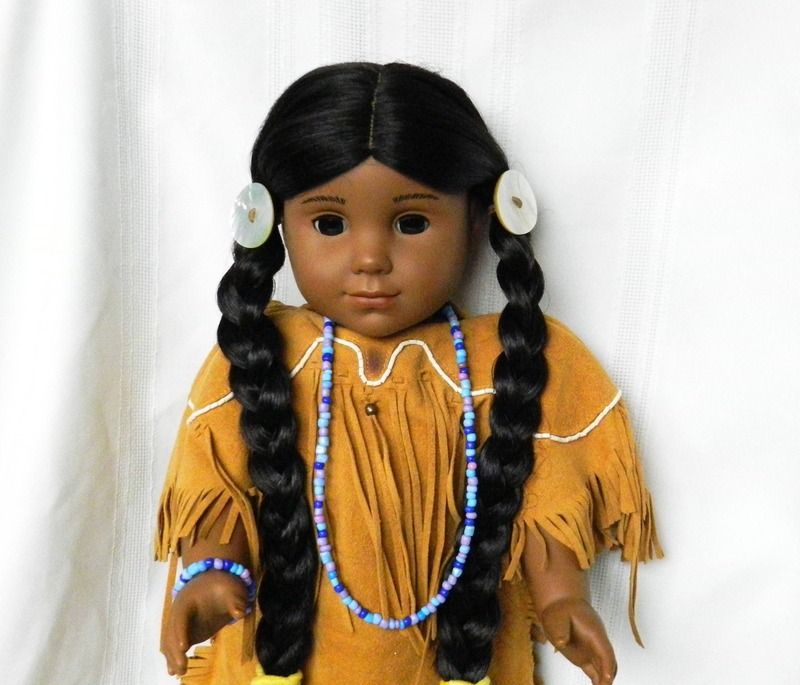 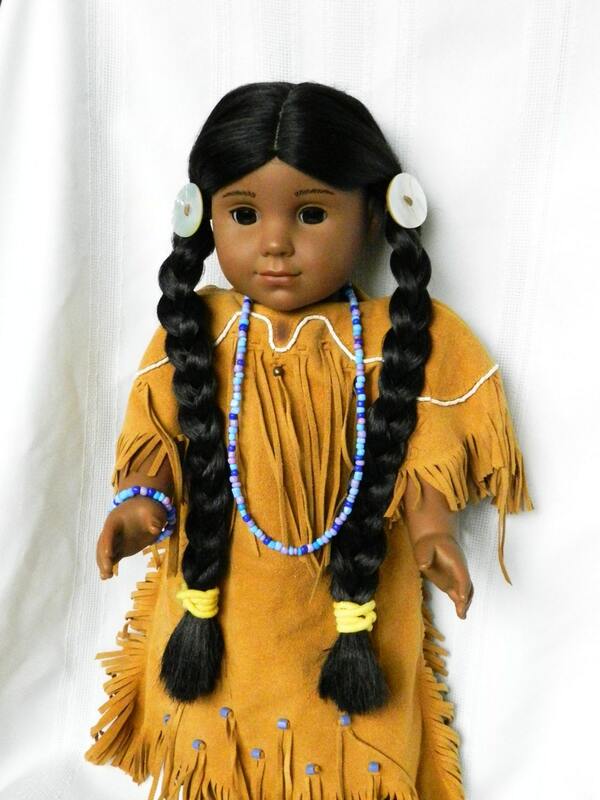 Native American, Indian Doll Accessories. 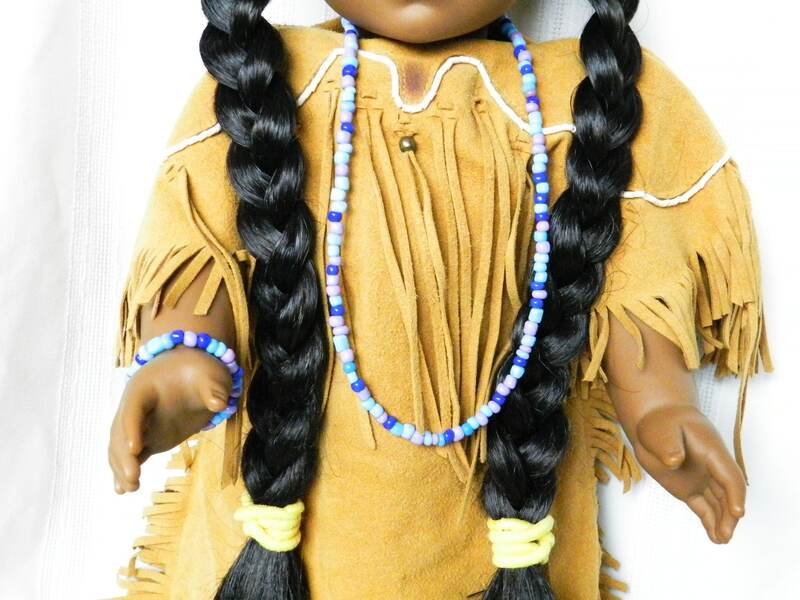 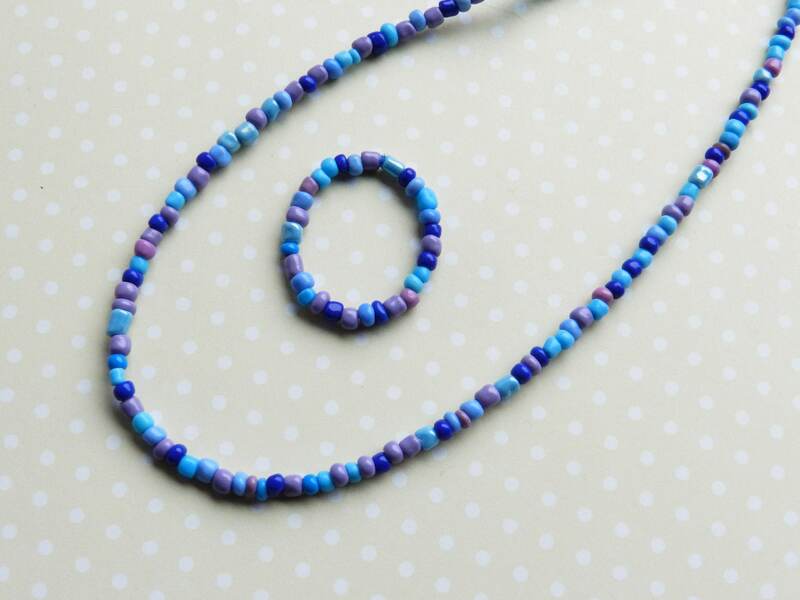 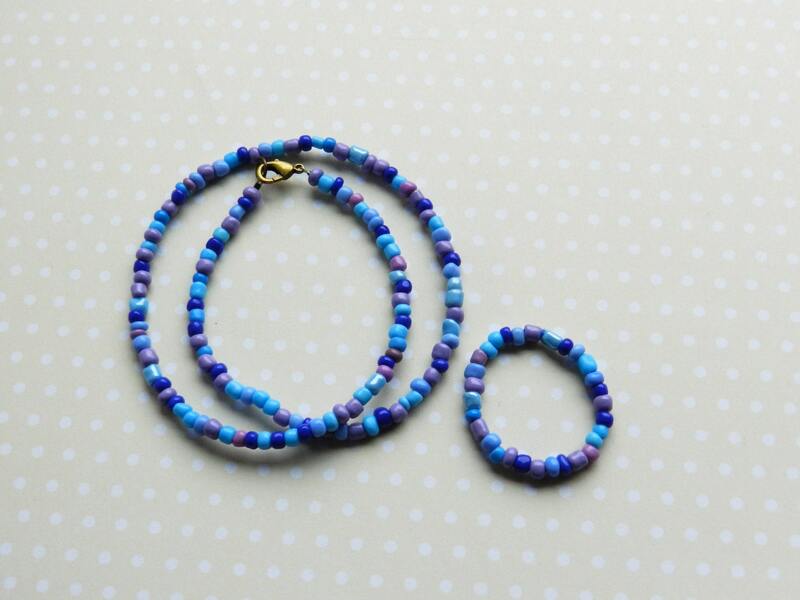 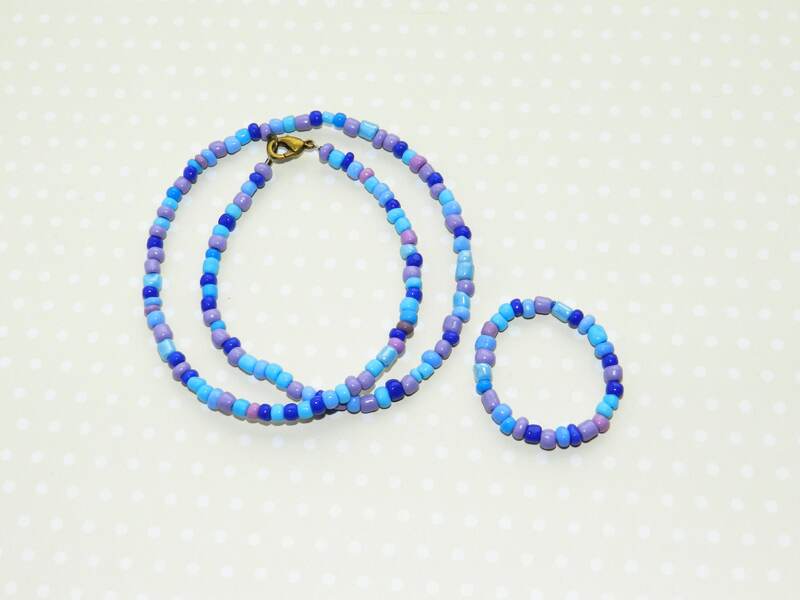 Matching multi colored (blues and purples) glass beaded necklace and bracelet for an 18 inch doll. 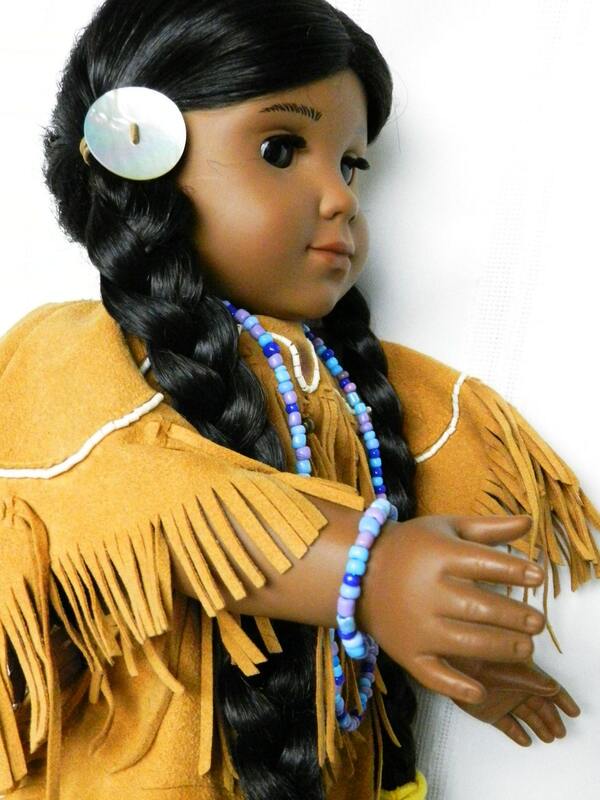 Doll Bead Jewelry is made to fit any 18" doll friend.